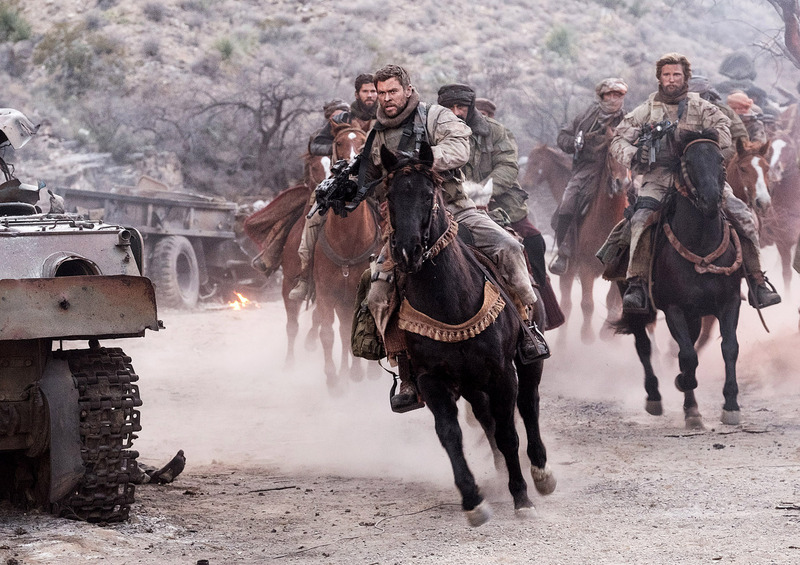 Chris Hemsworth stars as Captain Nelson in Jerry Bruckheimer Films’, Black Label Media’s and Alcon Entertainment’s war drama 12 STRONG. ©Warner Bros. Entertainment. CR: David James. 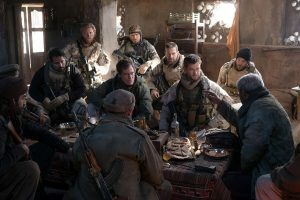 (L-r) MICHAEL PEÑA as Sam Diller, THAD LUCKINBILL as Vern Michaels, MICHAEL SHANNON as Cal Spencer, JACK KESY as Charles Jones, GEOFF STULTS as Sean Coffers, CHRIS HEMSWORTH as Captain Nelson and AUSTIN HÉBERT as Pat Essex in 12 STRONG. ©Warner Bros. Entertainment. 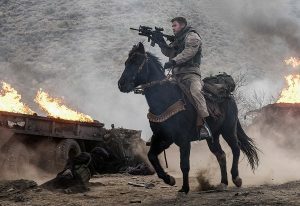 CR: David James.